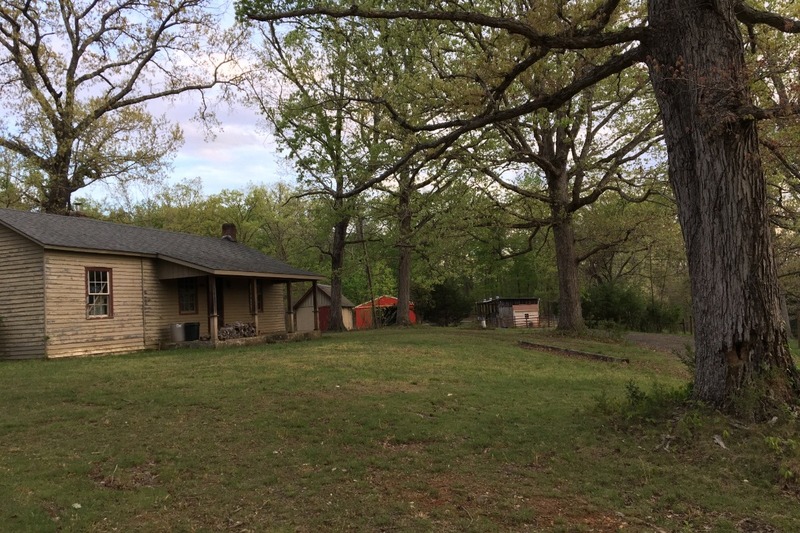 Ranger’s Refuge at Gallastar Equine Center is raising funds to fix-up our cabin, located on our Scottsville property. We would like to renovate the cabin to be a multi-purpose residence at our sanctuary– to house volunteers staying for long stretches, to serve as a relaxing get-away for veterans, to host sponsors getting to know their sponsor-animals, and more opportunities, yet to come. We hope for our guests to be able to experience the joys and catharsis of living amongst our rescued farm animals, surrounded by the Blue Ridge mountains. Read more on the amazing work that Ranger's Refuge does for animals at this link ! 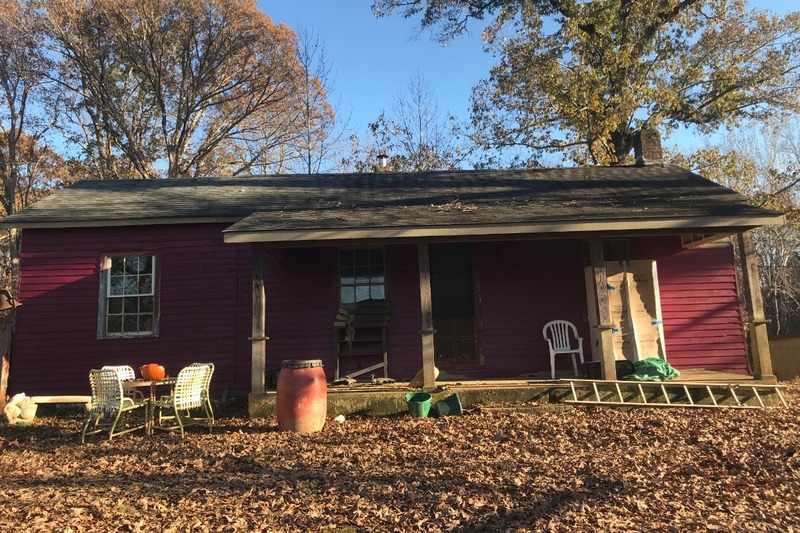 Our goal is $12,500 so that we can completely renovate the cabin by summer of 2019. There are a few projects which we need to do, to get our cabin visitor-ready! We need to 1) paint the interior walls, 2) sand and refinish the floors, 3) finish painting the exterior walls 4) complete renovation of kitchen and bathroom, 5) upgrade the electrics and plumbing, and 6) purchase and install ductless heating and air system. Please help us to reach our goal! Thank you for your support and care for all creatures! We wouldn’t be able to do the work we do for the animals and people in our community without your support. 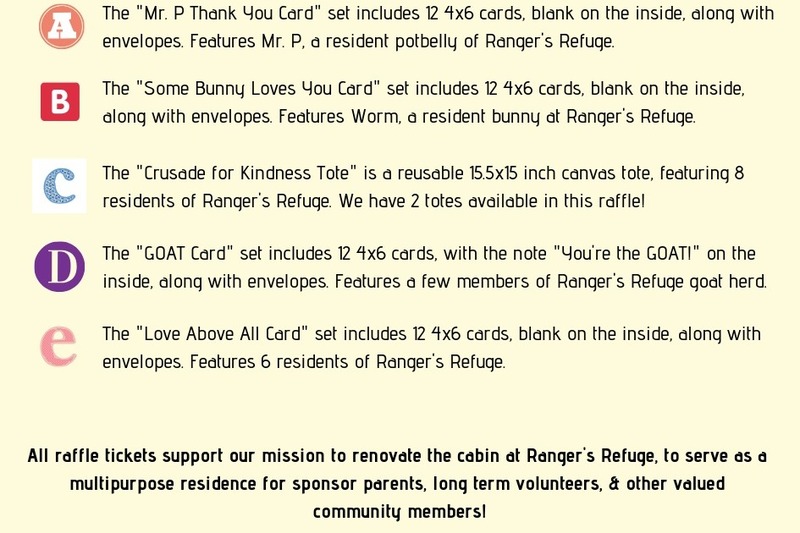 we're hosting the Ranger's Refuge Greetings Raffle to raise funds for this project! 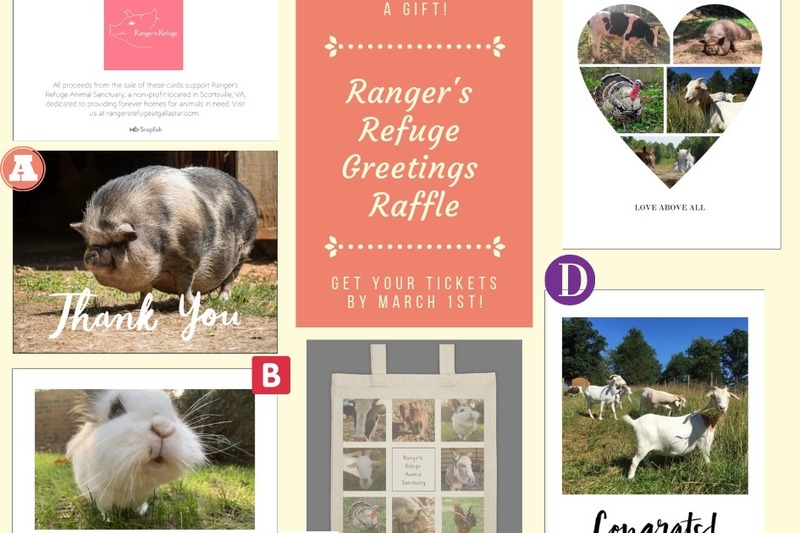 we'll be raffling off 6 fabulous Ranger's Refuge merchandise items– 4 greeting cards & 2 reusable tote bags, all featuring residents of the animal sanctuary. 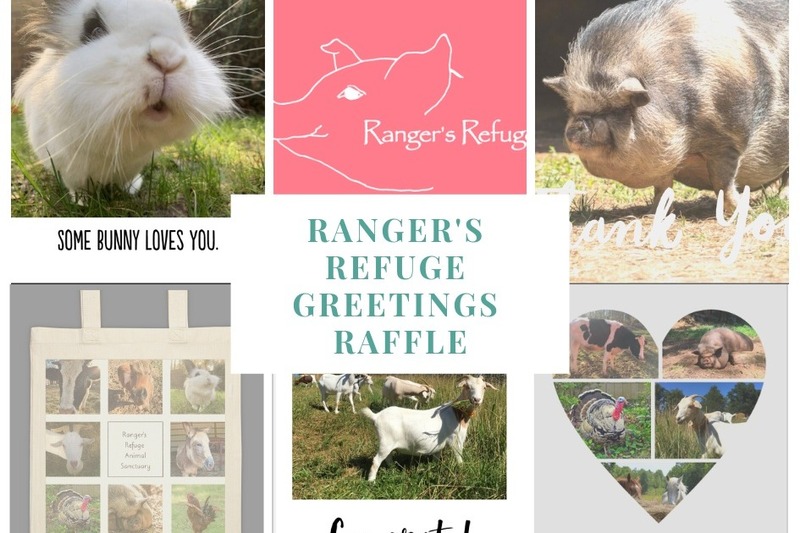 "Ranger's Refuge Greetings Raffle, Some Bunny Loves You cards, 1 ticket"
"Ranger's Refuge Greetings Raffle, Some Bunny Loves You cards 1 ticket, canvas bag 3 tickets"
We'll contact winners on March 1st with the news of their prize, and to get your address. Let us know if you have any questions, and please share this raffle with all your friends!! Check out how far we've come already! 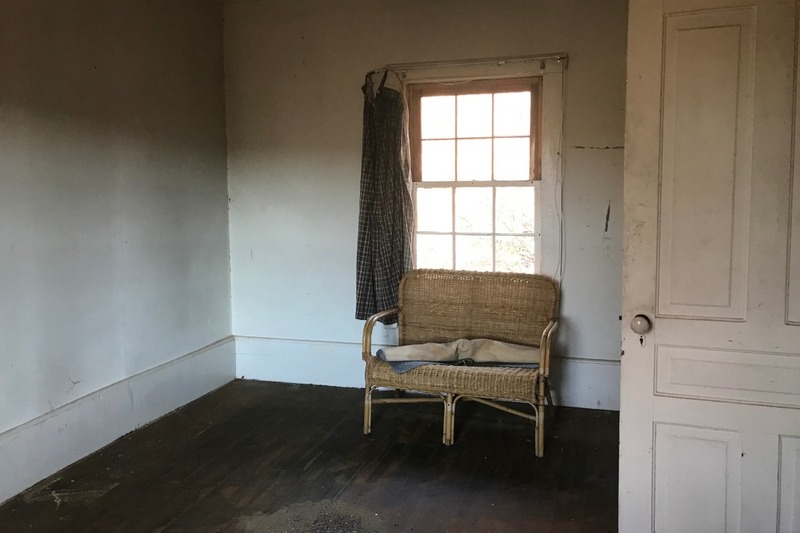 The first picture is the cabin when Lorelei & Ron first moved into the Esmont property in 2017. 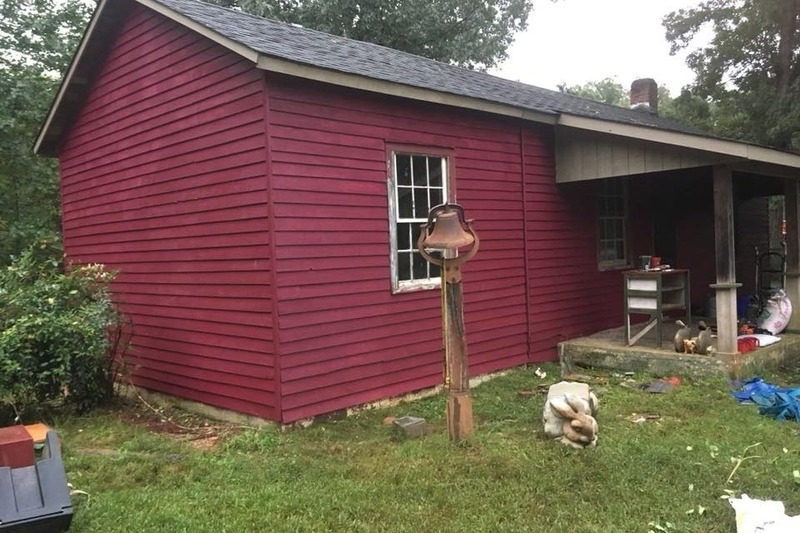 With a fresh coat of red paint in the second picture, the cabin is definitely looking better already! Here's one of two bedrooms that will be renovated. With a fresh coat of paint, refinished floors, and a few more pieces of furniture, this room will be lovely for a weekend stay at the sanctuary. Guests can see two of the pigs, Madison and her son, Jefferson, from the window!